When the switch is pressed, a current flows through the solenoids and the electromagnets attract a soft-iron plate. The striker hits the gong and a sound is produced. 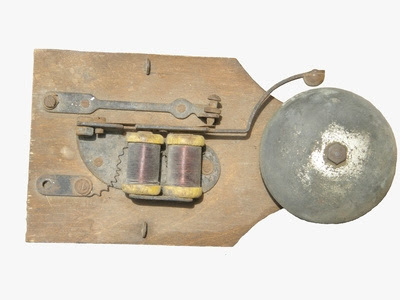 The movement of the soft-iron plate breaks the contact and the circuit is cut off. 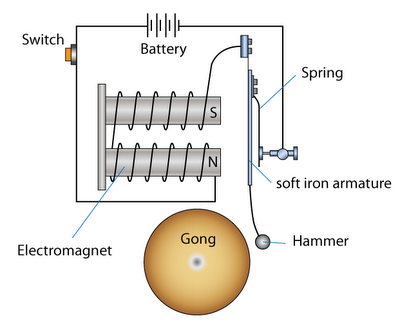 The electromagnet loses its magnetism and the striker springs back to original position. May i know what will happen if the spring is replaced by a piece of wire?